NEW! 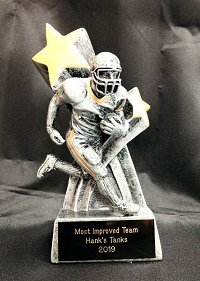 Our new Star Football Runner is a fantastic two-tone award. The engraved plate is black brass (gold lettering).